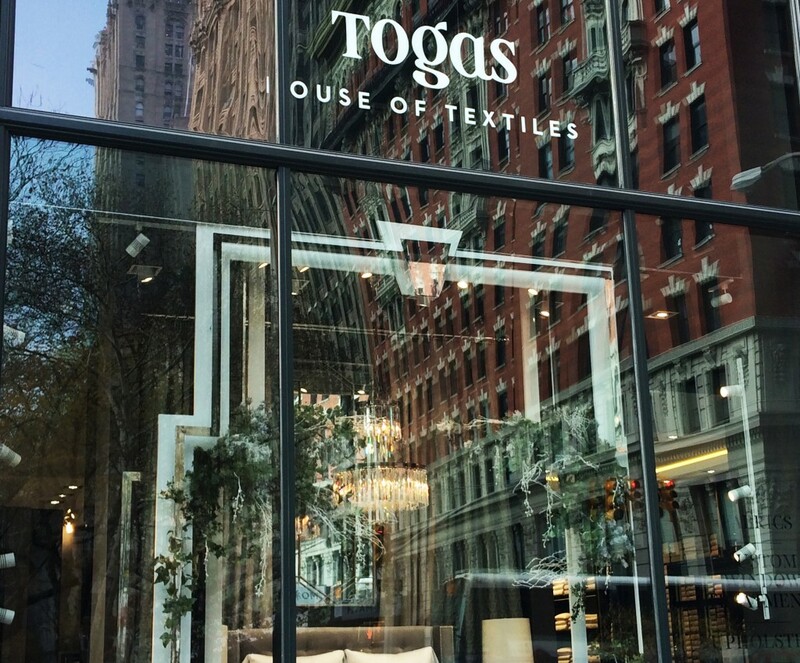 Togas has just opened a spacious flagship store at 212 Fifth Avenue, on the corner of 26th Street. The Togas family is internationally recognized as a leader in luxury textile design and home goods and has been for nearly 100 years. Today, the company has offices in six countries and 177 boutiques around the globe. 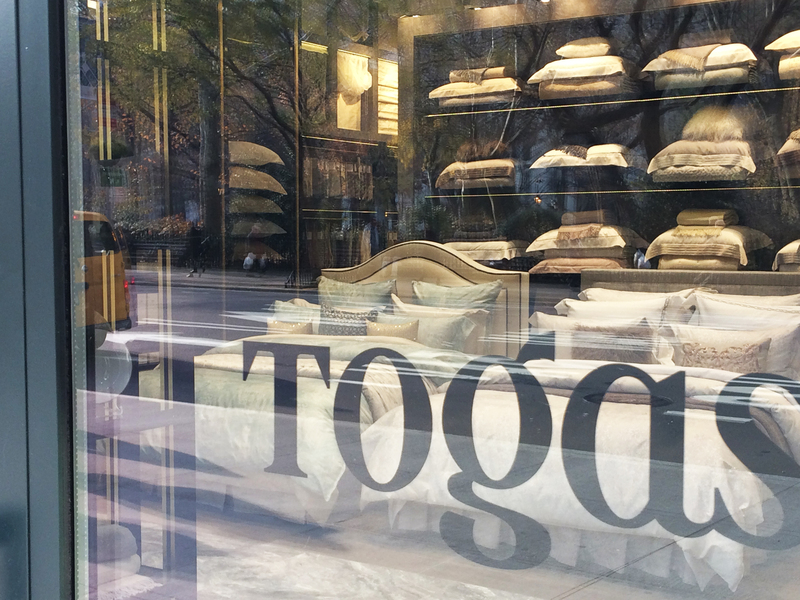 Stop in to see Togas’s exquisite new shop and the elegant aesthetic of its varied collections. 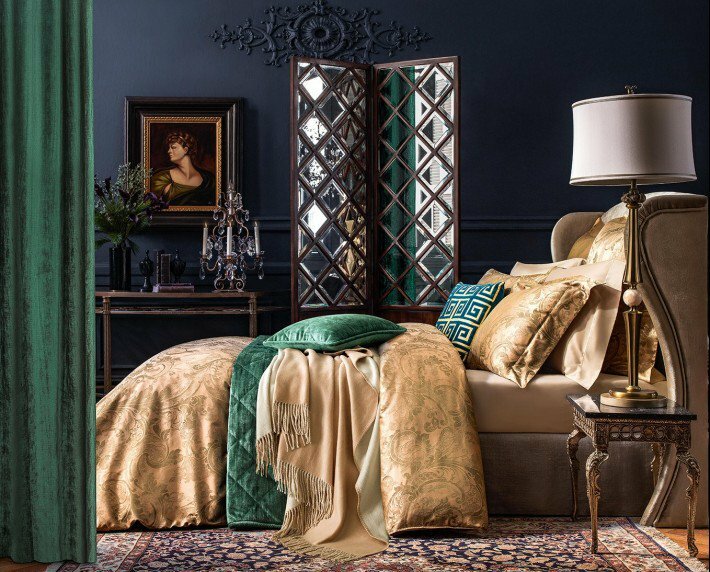 The Togas product line includes: a full assortment of bedding, terry products, table linen, decorative accessories, houseware, curtains, home fragrances, and even a Teens Collection and a Kids & Baby Collection. All collections are created to allow customers to seamlessly mix and match according to one’s own personal style, with a cohesive color palette and a wide range refined styles. You can get a preview in some of the pictures with this post or in the company’s online catalog. Hand-drawn designs are one of the Togas hallmarks, and designs range from popular hand-drawn floral, classic, geometric and Art Deco designs to hand-crafted designs reflecting chinoiserie, arabesque and European influences. Every pattern put to paper by in-house artists is inspired by the current fashion and interior design trends, nature, art, and culture, always composed. As for materials, the company’s specialists never cease to endeavor the search for the softest cashmere, the finest silk, the crispest cotton and the most ecological linen around the world. Each bespoke item crafted either in Togas studios or in its leading world-wide factories is an exceptional masterpiece, balanced, harmonized and crafted to the last detail. Stop by and see this great new addition to our neighborhood and the wonderful home textiles and accessories it is bringing to NoMad.